Is there a Checkpoint Systems self-install Electronic Article Surveillance solution? Yes! The Checkpoint Boulevard system is an e-electronic surveillance system that is self-install. Loss Prevention Systems, Inc. is the only retailer in the United States that offers this system as an option for its customers. The Boulevard system is a value priced E.A.S. system with exceptional features. The frame of the antenna is made of metal alloy and contains very little plastic parts, making this product very robust and reliable. Its indication light is positioned near the top of the antenna and has a sufficiently bright light to indicate to nearby staff that the alarm has been tripped. In addition to these features, the sounder contains a distinctive adjustable volume level. The cost-effective Boulevard system can be self-installed by anyone with a basic knowledge of the use of tools such as a drill, screwdriver, and other such tools. This system is designed to work with Checkpoint tags and labels. The most popular tags that are compatible with the system are the 410, mini hard tag, or 3G hard tag. The Boulevard system includes a 110 volt power supply that plugs into a standard 110 volt outlet. The system’s detection is incredibly good and detects most of the Alpha High Theft Solutions products such as the Bottle Loks, Cable Loks, Spider Wraps, and Steel Grips. Loss Prevention Systems (LPSI) is considered a highly regarded national dealer in the U.S. regarding Alpha High Theft Solutions and Checkpoint Solutions products. We have nationwide customers, resources, along with the best services. Loss Prevention Systems delivers more than retail loss prevention devices. 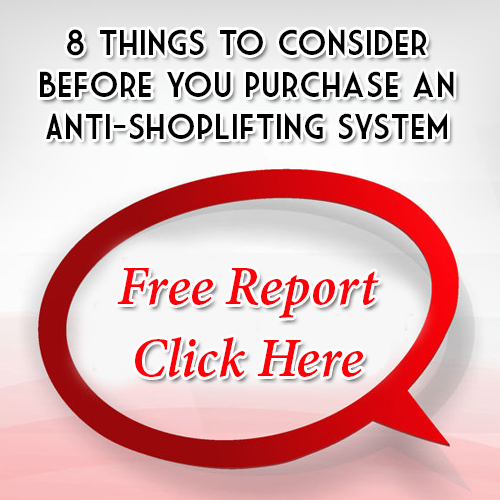 The experience in retail store theft prevention allows LPSI to deliver valuable training and systems. Eliminate theft today with Loss Prevention Systems (LPSI) and Checkpoint Systems solutions. To learn more about Checkpoint Systems, simply call 1 (866) 914-2567 and get the security help you are looking for. What are the differences between Checkpoint Systems and Alpha High Theft Solutions?